When a group of a dozen or so friends want to do something fun and active, we decided on something unique, messy, and hectic: a Medieval archery battle! 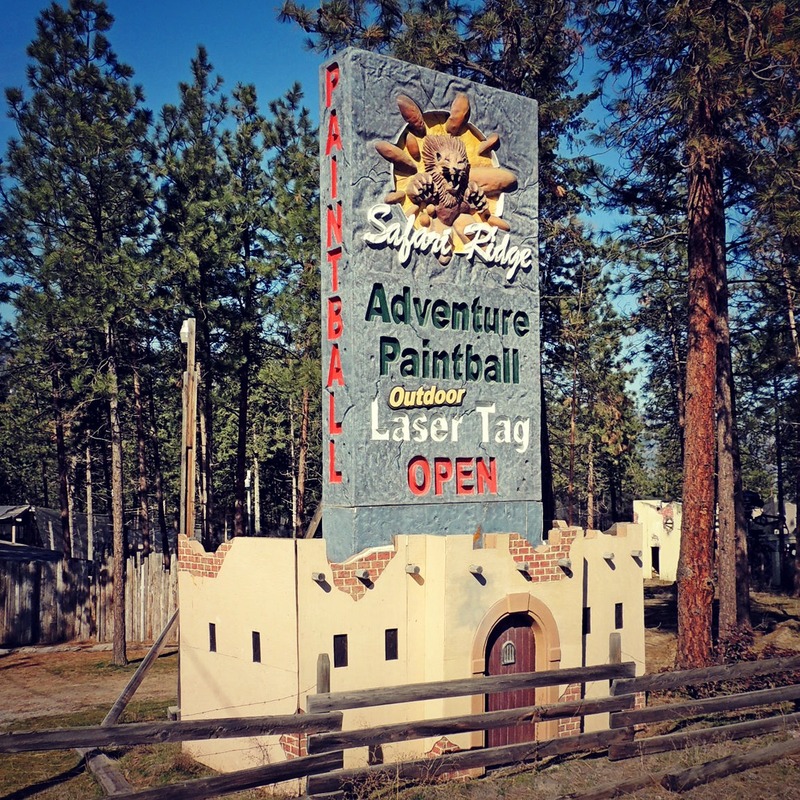 Safari Ridge Paintball Park has recently opened a new venue to supplement their themed paintball and outdoor laser tag fields. Clash of Arrows is an outdoor arena with a citadel at one end. Each player gets a bow and arrows tipped with foam rubber. The group is split into two teams, with an attacking team trying to take the citadel from the defenders. A dozen of us arrived at Safari Ridge on a grey afternoon, the sky threatening rain. Some of us had gotten serious and were decked out in military camo. I was in jeans and old paramedic boots. We grabbed some gear and practiced our archery skills for a few minutes before going into the arena. Most of us had not used a bow before, but the easy pull of the bows and the rubber tipped arrows evened things out surprisingly well. We entered the arena tentatively as it began to rain, droplets clinging to our face masks. A loud speaker began blaring the clash of swords, the cry of charging forces, and the whinny of panicked horses. The defenders stood atop the wall, standing silent and sighting down their arrows. The attackers, crouching, scurried from cover to cover and advanced to the end goal. Some played it safe, peeping out from behind walls looking for a defender to step out into the open. Others began charging headlong into the breach, fully aware of the eight minute time limit on each game. 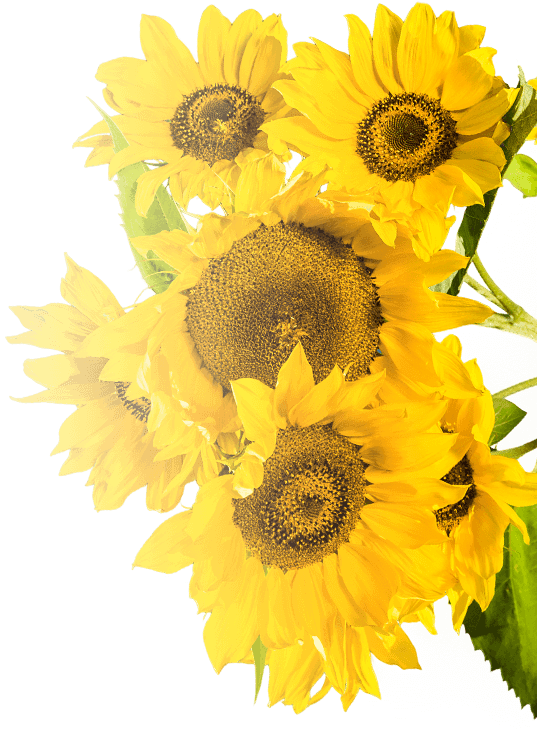 The dirt quickly churned into mud and arrows were dodged, picked up, and shot right back. Before long nearly everyone had muddy circles on their clothes, testament to having run into a hail of fire from above. Even though the arrows did not hurt at all and players just walk to the back to rejoin the action, some deeply ingrained cultural memory made everyone’s hearts pound as the rain obscured our vision and arrows thudded into walls and torsos. I disregarded any instincts I had, of course, and took every opportunity to run out and let the enemy have some target practice. In the end we were all pretty tired but exhilarated. Next time we might move into another age of weaponry and try the paintball guns, but there is no denying the excitement of a Medieval battle in the mud of Safari Ridge! Visit www.safariridge.com for pricing and online booking. Chris Munger is a Visitor Information Counselor at The West Kelowna Visitor Centre. 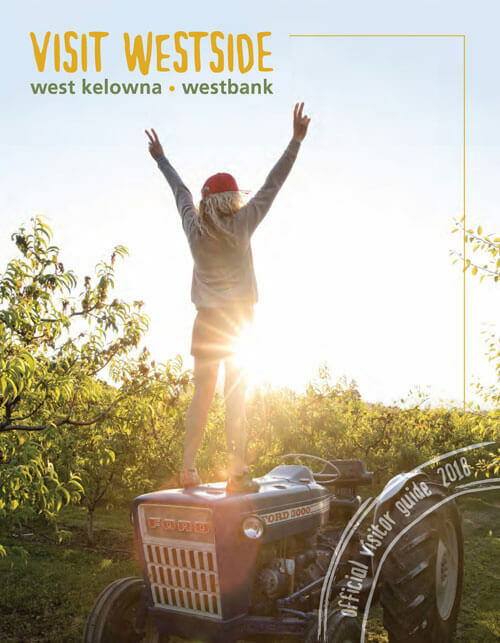 Stop by the Visitor Centre for tips, ideas and suggestions on how to spend your Westside holidays.